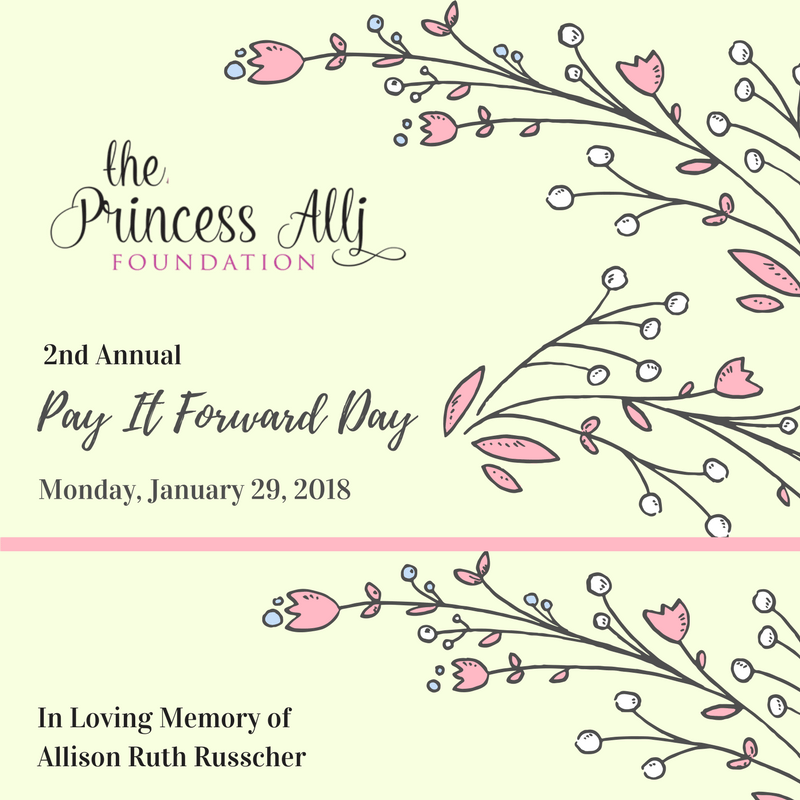 Join us on Monday, January 29, 2018 for our 2nd Annual Pay It Forward Day. Pay It Forward Day is a way to remember our sweet Allison Ruth by performing a small act of kindness for someone else. Nothing is too big or too small – buy a coffee, pay for a lunch, write a handwritten note, or spend an hour volunteering with an organization you love. Please let us know you are thinking about us by sharing how you helped to brighten someone’s day on our Facebook event, or just let us know that you did. And thank you for keeping our family in your thoughts on Alli’s 3rd Anniversary in Heaven.